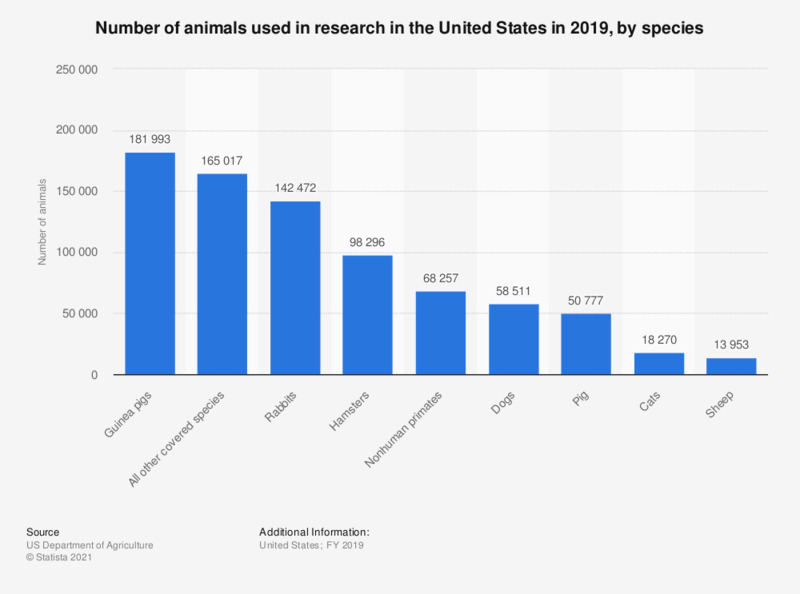 This statistic shows the number of animals that were used for research purposes in the United States in 2017. In 2017, about 191,766 guinea pigs were used in research facilities in the United States. Animals covered by the Animal Welfare Act.